In the aftermath of the Civil War, settlers poured into the new state of Nebraska, each one bent on claiming free land--160 acres acquired by paying a $10 filing fee and living on the land (and improving it) for five years. Soldiers who'd become restless after the war, people whose physicians recommend the west as a place to regain their health, folks fleeing economic depression and financial panics of the 1870s, and immigrants escaping economic and political upheaval in Europe all comprised part of the tide of settlers. It sounds bleak, but pioneer women brought beauty with them. They brought quilts, and quilts are about a lot more than keeping a family warm. Maria Jane Forsythe Newton gave birth to her fifth child a month after her husband, Abel, was drafted into the Ohio Infantry. Abel and Maria had always planned to move west, but Abel never fully recovered from lung problems that began during his service in the Civil War. 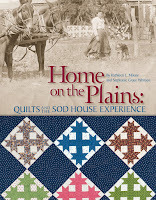 After he passed away, Maria the five children still living at home joined family in Furnas County, Nebraska, moving into the sod house originally built by Maria's parents. made by Maria Jane Forsythe Newton. Family letters and memories show that Grandmother Newton was a hard-working family matriarch who made quilts, sheered sheep, carded wool, spun yarn, made clothing, and wove carpet strips. 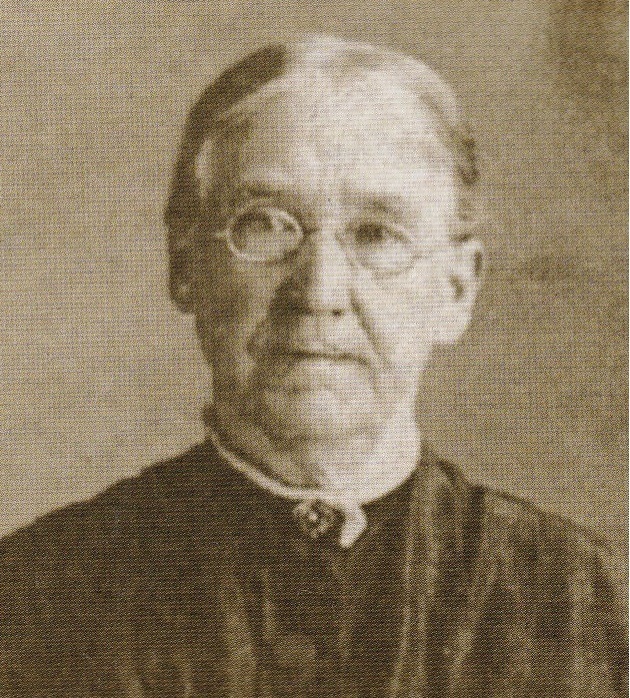 She was one of a group of "very good quilters" who met weekly at Bethel Church in Stamford, Nebraska, to earn money for missions. Family remembered that Mrs. Newton loved working with blue and white. She made the quilt pictured at right. "I have got Harold, Ralph quilt top done and gave to them. Got Lye's done ready to join. Have all my grandchildren done. Thirty-one. 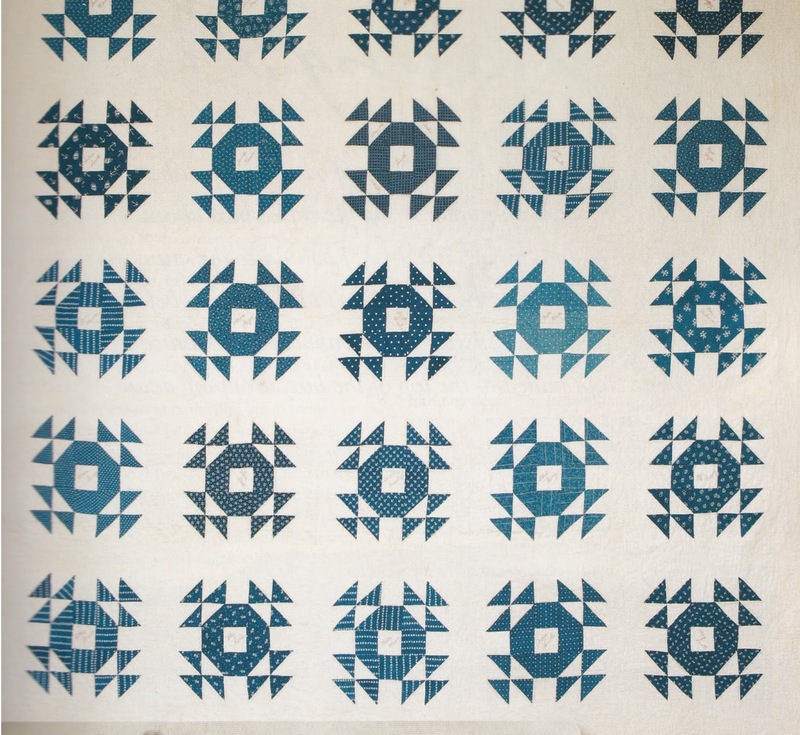 That is a lot of piecing but something they will remember me every time they see the quilt." 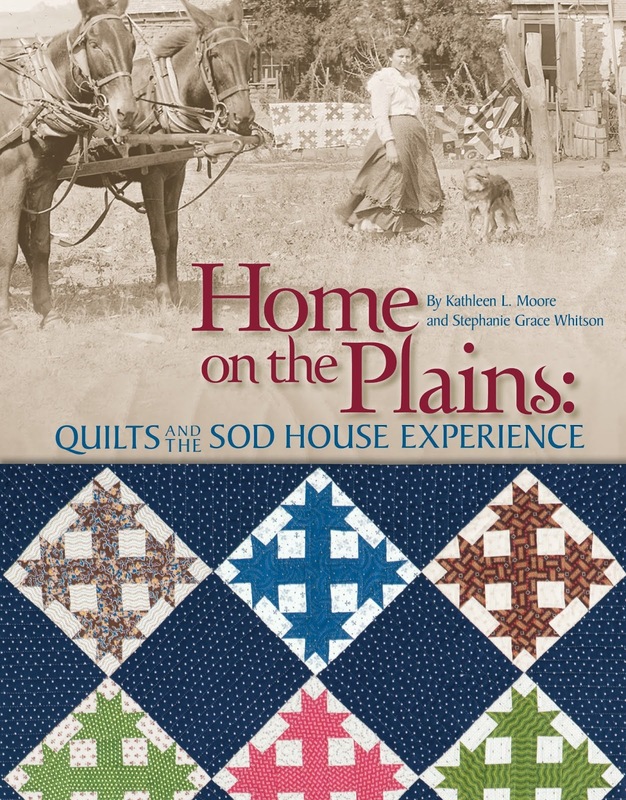 Maria Jane Forsythe Newton is only one of the Nebraska pioneer quiltmakers featured in Home on the Plains: Quilts and the Sod House Experience by Kathleen Moore and Stephanie Grace Whitson. 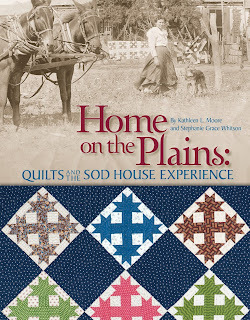 Learn more here: https://www.amazon.com/Home-Plains-Quilts-House-Experience/dp/1935362801/ref=sr1_1?ie=UTF8&qid=1536361537&sr=8-1&keywords=Home+on+the+Plains. For information on ordering autographed copies, e-mail stephanie@stephaniewhitson.com. Loved this post! Thanks for sharing! Glad you enjoyed it. Grandmother Newton is a woman I'd like to write more about. Great pos, Stephanie. Thank you for sharing. This book should be in homes of avid quilters. Thank you. It was a book of my heart. I love this. I've always loved homemade quilts and even tried my hand at it once, but never got past a baby crib size. 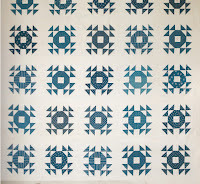 I have several books on quilting, and I may have to add this one. Thanks, Martha! The women featured in this book became heroines to me ... real life ones ... as I learned about them. I love hearing and reading about these true life pioneers and early homesteaders. Talk about hard working and determined......I would have been whimpy and with the physical issues I had at 39....probably dead.